You surely take care of your home, of your family, and of your belongings. Do you also take enough care of your body, especially your heart? Probably not! We all know that the secret to a healthy heart is a balanced diet and regular physical activity. But these are not the only factors that lead to a healthy heart. You know this! For a healthier heart, you must include more of wholegrain cereals, fruits, legumes, vegetables, nuts, and low-carb items in your diet. You know this too! Walk for about 30 minutes a day, meditate, exercise, do yoga or any other form of physical activity like aerobics, cycling etc that’s convenient for you. These cut down your chances of an attack by one third. Be it travelling, networking, painting, dancing, or anything else. Take time out to spend it with yourself by doing something you love to do. Your hobbies keep you excited, alert, and happy. They work as stress-busters, thus protecting you from heart ailments. It’s proven that 12 months after you quit smoking, your chances of dying from an attack will be half of that of a continuing smoker. Hence, quit smoking. Be around people who make you happy and who are supportive of you. Good and strong networks keep you stress-free, thus keeping the risks of heart disorders at bay. Pick dark chocolates instead of milk chocolates. Dark chocolates, when eaten in moderation, are good for your heart’s health. Cut down on the limit of your alcohol intake. If you’re a man, do not cross over two standard glasses of your beverage a day, and if you’re a woman, limit yourself to one glass a day. Red wine, when consumed in moderation, is known to prevent heart diseases by increasing the level of good cholesterol and by protecting it against artery damage. Salt and sodium heat up the risks of heart disorders and stroke. Whenever possible, avoid eating extra salt or sodium in food. Keep a check on your diabetes. Uncontrolled diabetes may damage the walls of your arteries and may contribute to heart disorders. 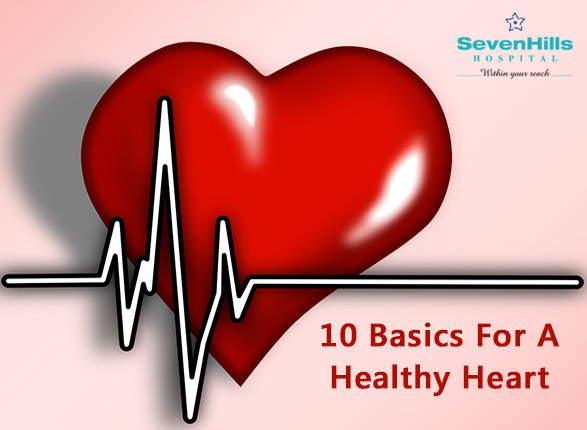 Following the above and altering your lifestyle accordingly will make your heart healthy and risk-free. If you have any questions related to the heart and heart disorders, get in touch with our experts right away!